Kids outgrow shoes and clothes faster than you can buy them. People outgrow relationships. 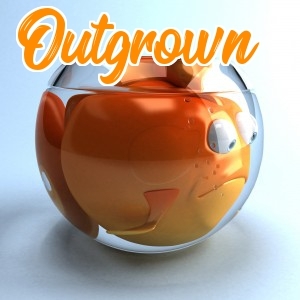 People outgrow circumstances. People outgrow things. It can be hard to navigate when you outgrow people you hold dear. It’s not like someone has hurt you or wronged you, but you are in a different place, a different mindset. If you remain, you will stunt your own growth. Unfortunately for those who have not matured, they might not see it that way, and that’s okay. You can always choose to love and support from afar. Don’t let people and relationships hinder you from where you know you belong. Accept that you’ve outgrown that relationship, but you still love the person. You are making a conscious decision to put you first.